hello!! can believe it's november already? i can't. i should have a cute thanksgiving card for you, but instead i have a cute birthday card. 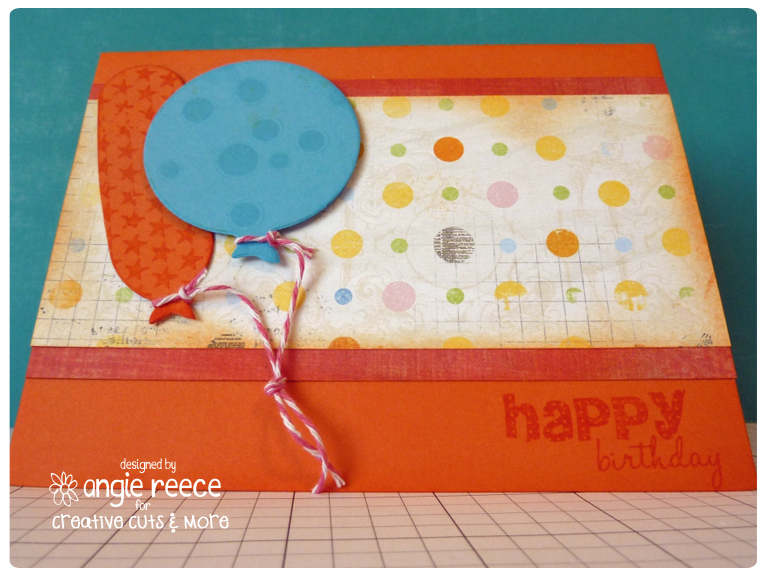 i love this balloon set #01 and have been waiting to make a cute card out of it. then i realized it would go perfect with the pop up a2 insert horizontal and pop up bar a2 card. 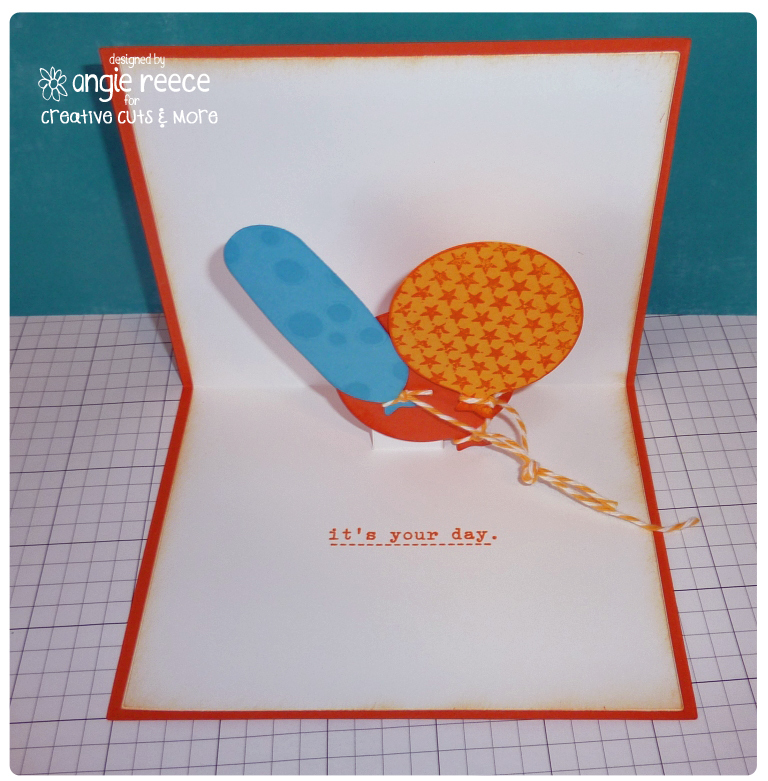 i started with the pop up bar a2 card in tangelo blast with the white insert. then i added some patterned paper from fancy pants on the outside. i stamped a couple of the balloons using unity and webster's pages stamps. added a little baker's twine to the balloons. the sentiments on the outside and inside are from unity. when you open the card, it's like the balloons are floating up into the air. how cute is that?? think of all the possibilities you could make with this pop up card! !